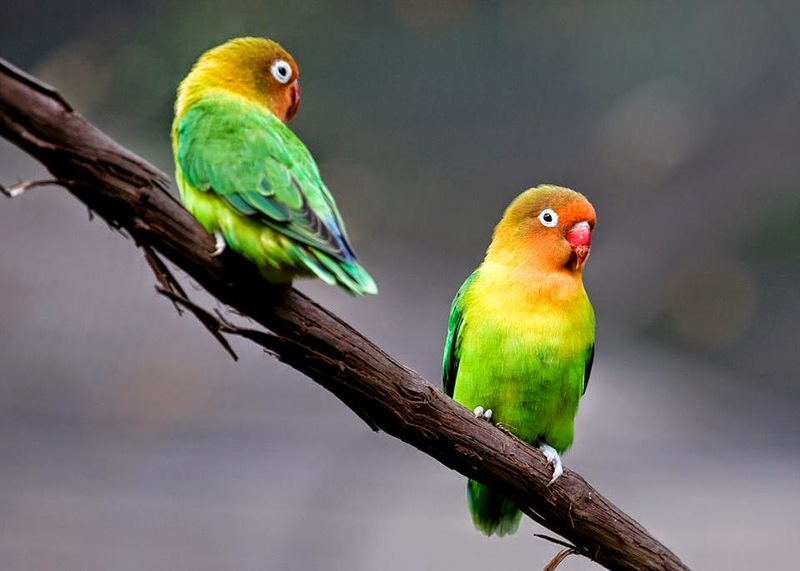 Fischer's Lovebirds are intelligent and inquisitive birds. In captivity, they like to investigate around the house, and have been known to figure out ways to escape from their cages. Like all lovebirds, they are very vocal, singing and whistling all day long, especially at dawn and dusk. They spend a lot of time with their family groups, and those social bonds are very important. 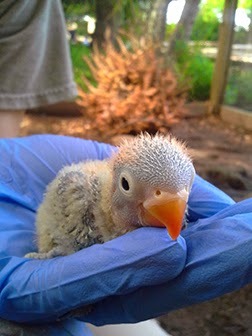 Zoo Atlanta have currently three adult lovebirds. You can lean more about them at the zoo keeper's blog!